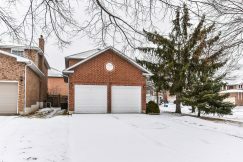 GTA REAL ESTATE – The days might be getting colder and colder, but Greater Toronto’s housing market has yet to show any signs of a temperature drop – with the summer market’s high prices and bustling sales activity continuing well into the 2013-2014 school year. 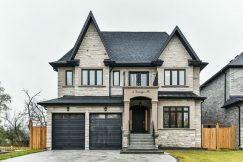 Real estate professionals and homeowners were in for a treat last week when the Toronto Real Estate Board released its real estate statistics for the first two weeks of November. Over those first two weeks, the GTA saw a remarkable 3,131 residential transactions, marking a year-over-year increase of 21 per cent over the same period in 2012. That promising figure comes hot on the heels of a 19.2 per cent year-over-year sales activity increase for the previous month of October. 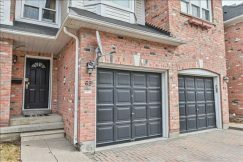 Interestingly, the biggest year-over-year jumps in sales activity were for detached homes in the 416 (43.1 per cent) and townhouses in the outer 905 region (19.5 per cent). TREB’s Senior Manager of Market Analysis Jason Mercer has attributed the hot fall numbers to high home demand as well as competition between buyers for the most desirable properties, both downtown and in the suburbs. Meanwhile, the urban condo market has experienced a pricing stabilization in Toronto and other large markets, one of several trends that contributed to Statistics Canada’s Housing Price Index experiencing no change in the month of October (following a 0.1 per cent jump in September). With condo affordability finally in sight, the CBC goes on to report that the market has recently seen an upshot in interest from young “echo boomers” looking for a “live, work, play” lifestyle in the heart of the city. The promising numbers from this fall have many buyers already looking ahead at 2014. According to CMHC, the nationwide real estate market appears set to have a strong year, as the corporation is predicting increased sales activity in 2014 and an even higher price increase (1.9 per cent) than the 1.6 per cent rise previously predicted back in June. If you’re planning to list during the winter time – which does have its own advantages – we recommend checking out our feature on Five Tips for an Enchanting Wintertime Showing. 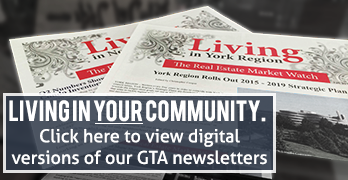 In the months to come, be sure to keep an eye on GTA Real Estate News as we will be sharing even more advice on how to make the most of the challenging winter real estate market. We are definitely seeing a a higher level of activity and listings this November, relative to last year.